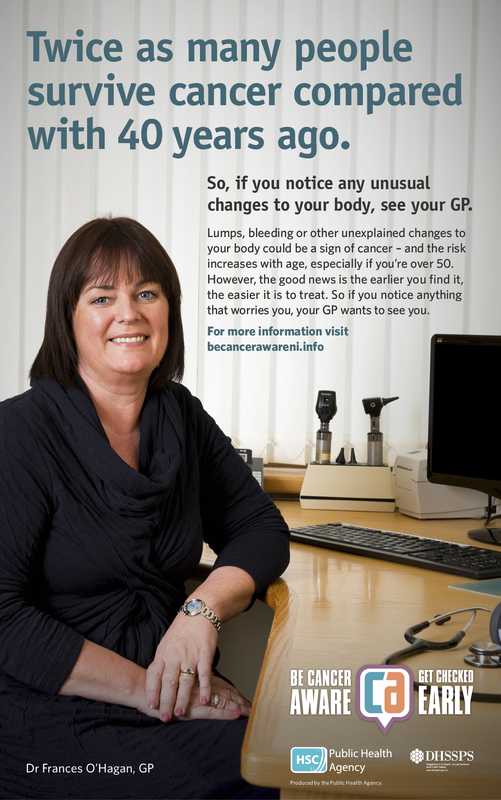 The first phase of the Be Cancer Aware campaign includes television, radio, online and press advertising throughout Northern Ireland. 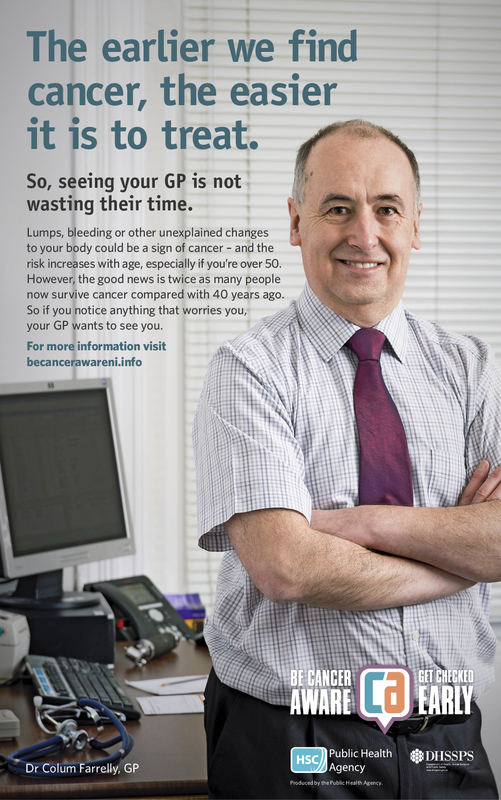 This phase highlights the importance of being aware of the general signs and symptoms of cancer and to encourage anyone who notices any unexplained changes to their body to make an appointment with their GP. This is important as the earlier cancer is detected the easier it is to treat.